Photograph. 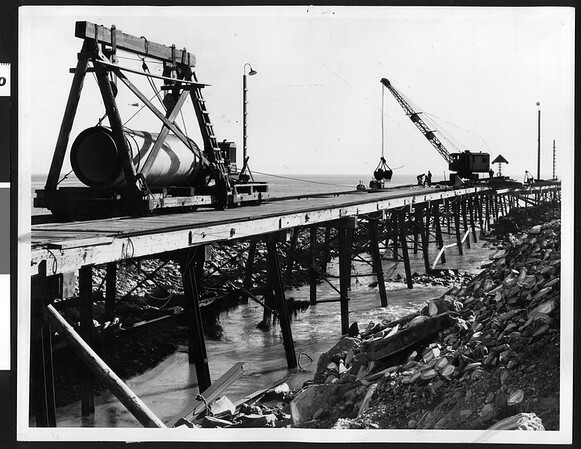 "Portion of equipment at work on White Point sewage tunnel -- Work has progressed satisfactorily to point where contractors now believe outlet will be completed August 1, 1937." -- Examiner clipping attached to verso, dated 26 July 1936.